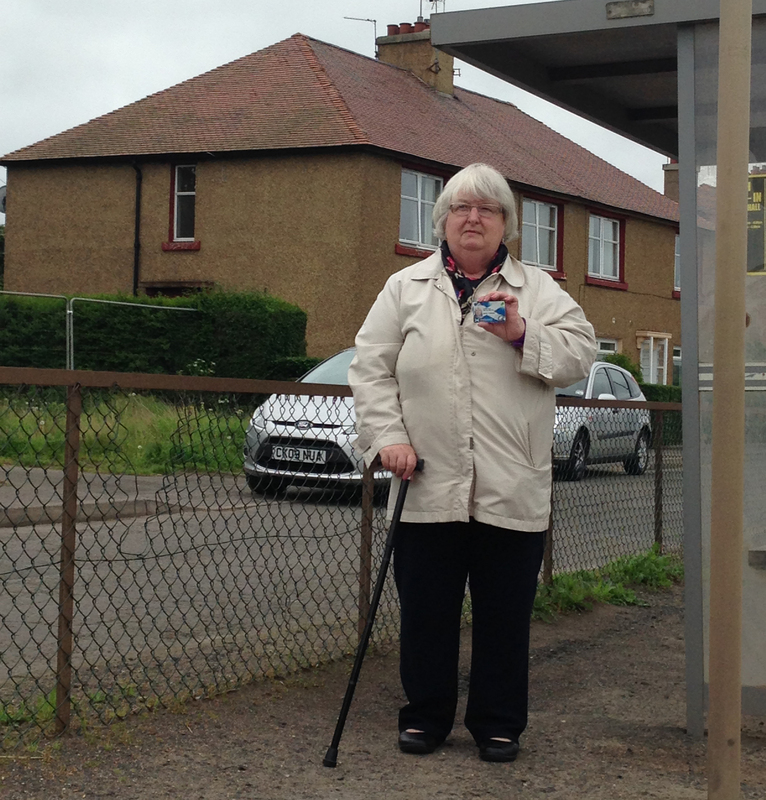 Age Scotland were alerted to another instance of older people being let down by public transport when Elizabeth Bryce of Newton Village in Midlothian told us the only bus going through her village had been cancelled. “We have to walk for three-quarters of a mile to cast our vote at Danderhall library. And I’m 65 and my husband’s 71,” she said. Residents of Newton and the other small villages in the area used to catch the 328 bus into Danderhall and Musselburgh but the bus operator cancelled the service at Easter claiming they were losing money. Midlothian Council have since set up a subsidised ‘Ring and go’ taxi service at a flat fare of £1.50 each way but the National Entitlement Card doesn’t cover it. “People can go all over Scotland with their bus pass but I can’t even get to the local shops. It costs me £3 to go and get a pint of milk,” said Elizabeth. “My friend’s in her 70’s and she had to get a house call yesterday because she couldn’t get to the doctor’s surgery. Folk are getting depressed. We used to be able to catch the bus and go and sit at Musselburgh harbour on a nice day but now we’re trapped,” she added. Although the bus contract was not up for renewal until 2016, Edinburgh Coach Lines gave Midlothian council the obligatory 90 days’ notice of cancellation and no other tenders were considered to be financially viable. The council set up the ‘Ring and Go’ service as a short-term solution. However, more than a month on, there is still no sign of a replacement bus. Elizabeth thinks that the nearby Shawfair housing development is being used as an excuse to leave them without a bus, as is the new Borders railway which will stop outside the village, but neither development will improve transport links immediately. Find out more about Still Waiting, our campaign to end transport isolation. Funding of £1m towards replacing vehicles for community transport operators was recently awarded to 29 organisations by the Scottish Government. John MacDonald, from the Community Transport Association (CTA),was involved in the management of the Fund and gives us his take. Support for transport services for older people was by far the biggest feature in the applications and there was particular demand from day centres for older people. All told there were 130 applications to the Fund and total funding of more than £4m was sought so the funding has only gone part of the way to helping with the problems older people have with transport. The response to the Government’s Community Transport Vehicle Fund has highlighted the extent of the problem but has not solved it. It’s good news that we’ve been able to get another £1m into the sector, but it only touches the surface of the problems which older people in Scotland face with transport. We had dozens of applications from day centres and other centres for older people. They told us that if they weren’t providing transport then most of their clients would not be able to get to their centres and so the facilities would not be viable. It is fine to have first class day services but if people can’t get to them you have a major problem. The successful applicants were mainly community transport operators who made wide community use of their vehicles. Though older people are the main users of these services for shopping, getting to NHS appointments, dial a ride, etc., it was unfortunately the case that day centres were not supported through the Fund. Many of these have vehicles which are past their best and have limited lifespans. When it comes to the point where they have to be scrapped, if a replacement vehicle is not in place then this presents a serious issue for the centres. Community transport has risen up the political agenda over the past year, and Age Scotland’s continuing campaign on this – ‘Still Waiting’ – has played a key role in this. As part of its response to the Scottish Parliament Infrastructure and Capital Investment Committee’s inquiry into the future of community transport last year, the Scottish Government committed to carrying out research into the sector and, over the coming months the CTA will be carrying out a lot of this work. Hopefully, the results of this research coupled with continued pressure will help us find a sustainable future for this vital service which underpins so many of the services in our communities. Find out about the impact that a Community Transport organisation has on peoples lives in this video and in The Scotsman. Clann an Latha an De Keep On Walking! 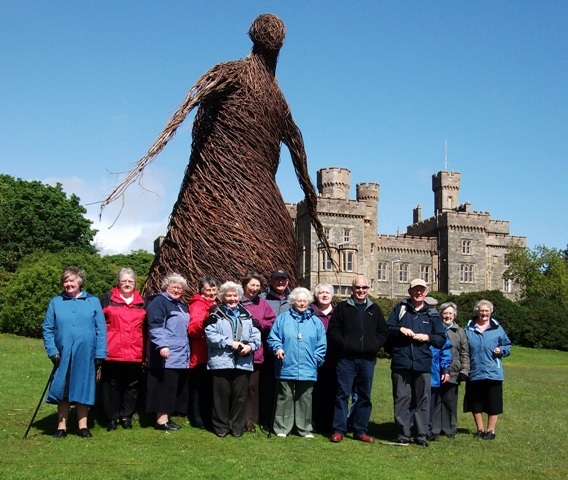 Our active Western Isles members group is set to become even more active due to support from our Age Scotland grant pot and from the Paths for Health and NHS Western Isles Health Walks Project. 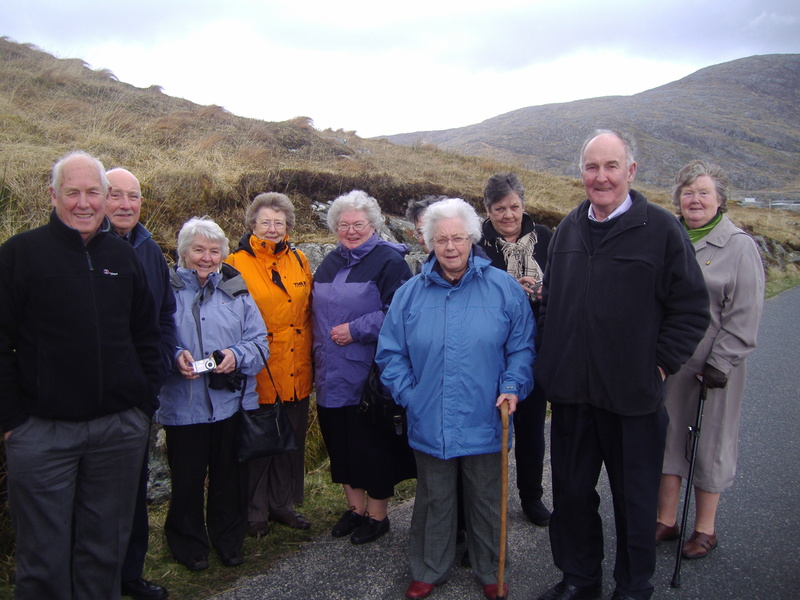 We recently awarded Shawbost group, Clann an Latha an De, a £500 grant, which with practical support from Chris Ryan, Paths for Health Co-ordinator for NHS Western Isles, re-kindled the group’s involvement in the Transported Walks initiative. “A primary aim of our health walks project in the Outer Hebrides is to encourage people to increase their levels of physical activity through regular walking. Our early experience was that many people preferred walking out-with their immediate community and that providing transport was key to getting those people involved. We went to visit Age Scotland member group Broomlands and Bourtreehill Age Concern.to find out more about what they do and how important it is for them to be able to provide transport for the community. Age Scotland is calling for a long term strategy for community transport, backed by increased and more sustainable funding. This is necessary to ensure the lives of older people who are unable to access suitable public transport aren’t blighted by loneliness, and by the negative health impacts associated with it and have the opportunity to love later life. Find out more about the Scottish Government’s recent award of £1million grant money for minibusses. Today Age Scotland presented Transport Minister Keith Brown MSP with 6,500 signatures gathered for its Still Waiting Petition. But the campaign is not over yet says Doug Anthoney. This morning we met with supporters of our campaign and prepared to brave the cold over enormous scones and a cup of tea (or coffee). Supporters turned up from local member group in Dumbiedykes, Gilmerton 60+ Group, Community Transport Association Scotland, Bus Users UK, Edinburgh Milan and the National Association of Occupational Pensioners. We were really pleased that Keith Brown MSP and Minister for Transport and Veterans had agreed to meet us for the hand over. We headed over to the parliament and had a photo session with our supporters and were pleased to greet Mr Brown. Our Head of Charity Services, Katie Docherty, and the Minister had a discussion about how community transport has had its profile raised and both she and the Minister agreed that the two debates in Parliament had been very good. The Minister pointed to the £1m fund for new buses which we have welcomed as great support for existing community transport organisations but will not help address areas with no exisiting access. However regarding our, and our thousands of signatories’ call for a better bus pass, the Minister said that this isn’t something they think is possible because of the cost of putting it in given how varied community transport is and that it is deregulated. He then had a chat with the other members of the group about where they’d come form and what their experiences of public transport were. We were then greeted by Sarah Boyack MSP who wrapped up and came out to especially to support our campaign. Following this morning’s gathering, we can reflect on some significant achievements for the Still Waiting campaign since its launch in February. We’ve highlighted Community Transport as a vital part of the solution to isolation among older people, and got our MSPs and Scottish Ministers talking about it. We’ve called for a more strategic approach to the future development of Community Transport – and the Scottish Government has commissioned research which should inform this. But there’s more to be done. We’re yet to be convinced that the future of Community Transport is secure, as the Scottish Government has declined our proposal that it be included within, and part funded by, the National Concessionary Travel scheme. Age Scotland believes that the onus is now on the Government to put forward viable alternative proposals to ensure Community Transport services can meet increasing demand as our population ages. A huge thanks to all the individuals, organisations and MSPs who have supported us up to this point, we will be entering 2014 still attempting to end isolation for older people. 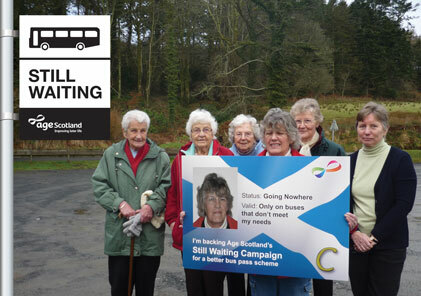 You can still sending a Still Waiting campaign e-message to your MSPs today.